The latest in distributed energy, computing, and communications technology underpins smart cities programs and projects around the world. Finding and obtaining attractive financing for climate-smart energy efficiency and sustainable energy projects continues to be challenging, however. All too often, knowledge of multilateral and national sustainable energy and energy efficiency financing programs and the capacity to take advantage of them is lacking and/or they are found to be too expensive, weighed down with bureaucratic red tape and time-consuming to be practical. A newly launched initiative aims to help bring down financial barriers to climate-smart, sustainable energy and energy efficiency financing and investment on the part of cities and towns across the European Union (EU). The EU Horizon 2020 Peer Powered Cities and Regions (PROSPECT) program aims to help local governments finance climate-smart sustainable energy projects and programs. Over the course of the next three years, a team of ten organizations coordinated by IEECP (Institute for European Energy and Climate Policy) will organize peer-to-peer learning in regional and local authorities to equip them with knowledge of existing best practices to finance and implement sustainable energy plans. EU Horizon 2020 intends to reach out to and help educate and train individuals working in at least 180 local and regional authorities, focusing on developing financing schemes to fund and implement energy efficiency, sustainable energy, and climate action plans. Each comes with fundamental, practical guidance related to climate-smart sustainable energy and energy efficiency financing schemes. These will be used as references during peer-to-peer group educational sessions supported by project experts and internationally renowned third-party facilitators, according to IEECP. The inaugural EU Horizon 2020 Peer Powered Cities and Regions educational session takes place early next year. The program is open for cities throughout the EU to join this fall. “The added value of PROSPECT in comparison to other initiatives is that the learning program is not limited to a capacity building process. Coincident with the EU Horizon 2020 launch, 10 large European institutions, four institutes and six research agencies are carrying out EPATEE – Evaluation into Practice to Achieve Targets for Energy Efficiency – a program that aims to provide the methods and tools EU member states require to better evaluate and enhance their respective energy efficiency policies. 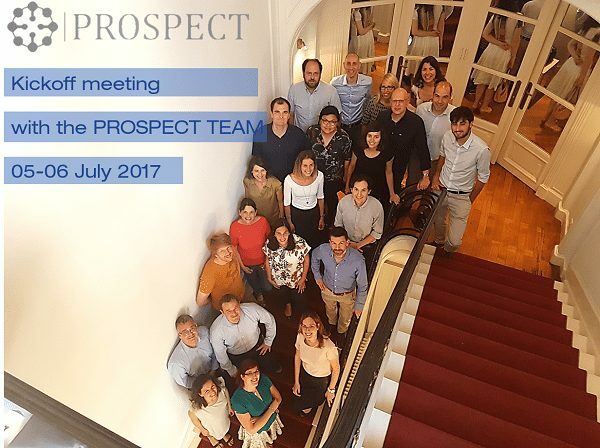 PROSPECT EU Horizon 2020 and EPATEE are mutually reinforcing. One of the principal aims of the latter is to improve the ability of European public and private sector organizations to assess climate-smart energy efficiency and sustainable energy policies investments. EPATEE is also a platform to share and exchange knowledge and learn from the experience of others.